Each week I receive calls and emails asking me for help in rebuilding damaged credit histories. Often, s/he has come off (or is still in) a consumer proposal, or debt settlement or personal bankruptcy and is truly starting from ground zero. 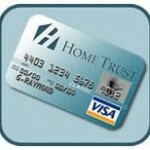 How to rebuild your credit history is the topic of other articles on my site, but here I will provide you with a link to the HomeTrust Secured Visa Application – guaranteed to help you on your journey. It’s a simple half page form. 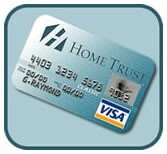 Just print it off, complete, and send with a check to HomeTrust and your card will be in your hands within a couple of weeks. [notice]Need to establish or rebuild your credit history? Next time you plan to throw out some old clothes, pack up the kids in the car and go find some homeless people and share the joy of giving with your children.